DEARBORN — Ford Motor Co. has introduced its next-generation Fusion Hybrid autonomous development vehicle. The new vehicle uses the current Ford autonomous vehicle platform, but ups the processing power with new computer hardware. The company says electrical controls are closer to production-ready, and adjustments to the sensor technology, including placement, allow the car to better see what’s around it. New LiDAR (laser-based radar) sensors have a sleeker design and more targeted field of vision, which enables the car to now use just two sensors rather than four, while still getting just as much data. The vehicle will bow at International CES, formerly known as the Consumer Electronics Show, in Las Vegas Jan. 5-8, and at the North American International Auto Show in Detroit Jan. 8-22. Ford says the new vehicle also evolves the two main elements to creating an autonomous vehicle – the autonomous vehicle platform, which is an upgraded version of the car itself, and the virtual driver system. The next-gen Fusion Hybrid autonomous development vehicle follows the company’s current generation, which hit the streets three years ago. 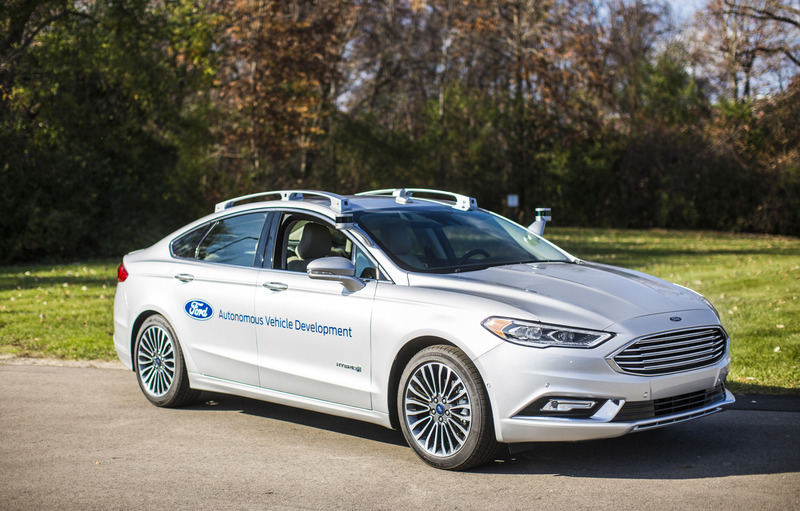 Read more about Ford’s quest to build a high-volume, fully autonomous SAE level 4-capable vehicle by 2021 in a Medium blog post authored by Chris Brewer, chief program engineer, Ford Autonomous Vehicle Development, at this link.